Men’s are really very choosy when they have to select something for their wardrobes. They are the one who will think for 100 times before buying anything that will it look good on them or not. They are very particular about their choices and what they want is that they should look perfect 24*7 of the day. In this season of winters they want a classy and edgy look which comes when they are in their leather jackets. 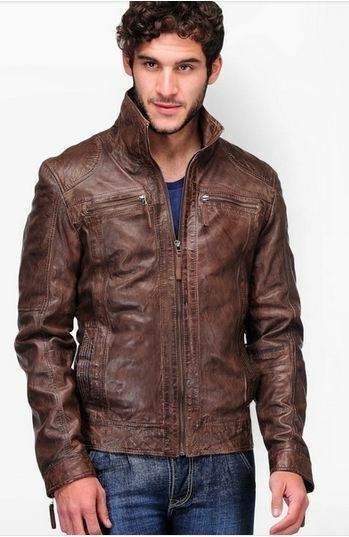 Modern men nowadays like the cool look lent by leather jackets rather than coats and sweaters. They are easy to slip on and off and look great with casual and formal items of clothing.  Moreover, they keep you warm even when you are riding bikes by forming a shield against the cold blasts of air, which coats and sweaters are unable to do. 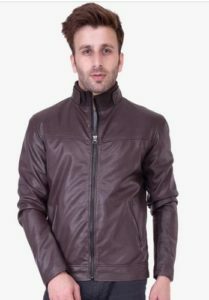 Most men prefer these as they present a complete package of style and functionality. Here to do your job easier we have chosen some of the best and trendy colors of they jackets that will make you look good and perfect for all the occasions. Moto-inspired modernity to this classically structured biker jacket crafted from genuine leather. Give your off-duty dressing a fresh boost with British brand New Look. 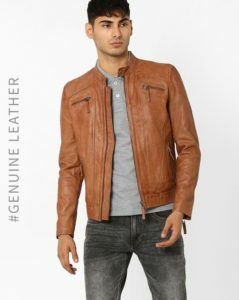 Upgrade your layered look with this casual jacket. 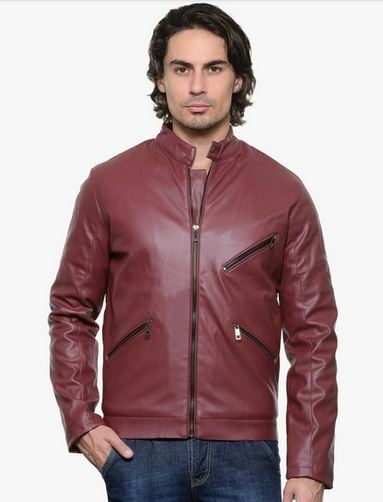 Warmth of non leather, is perpetually pulled together and offers endless comfort. 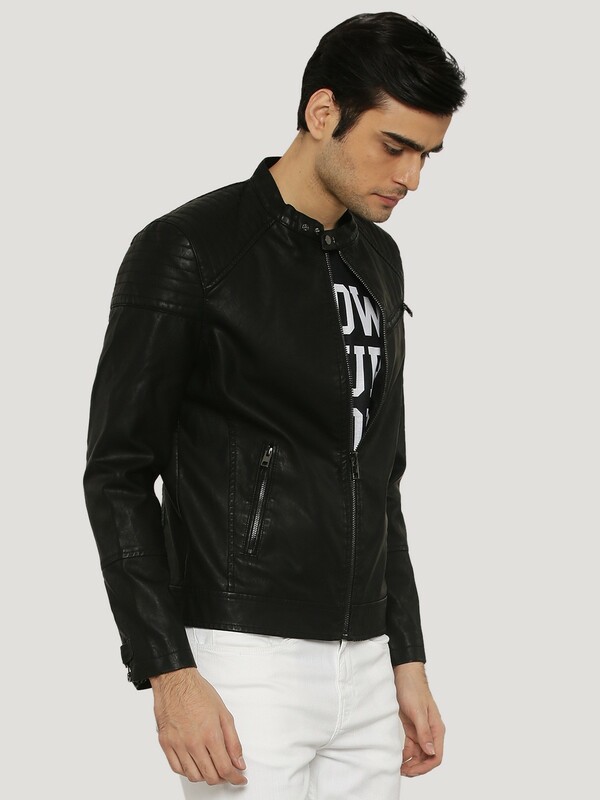 Make the world your fan as you don this truly timeless designer piece with a tee and jeans. Choose from printed tees and shirts, ripped and washed jeans, and shoes that will take you from day to night. 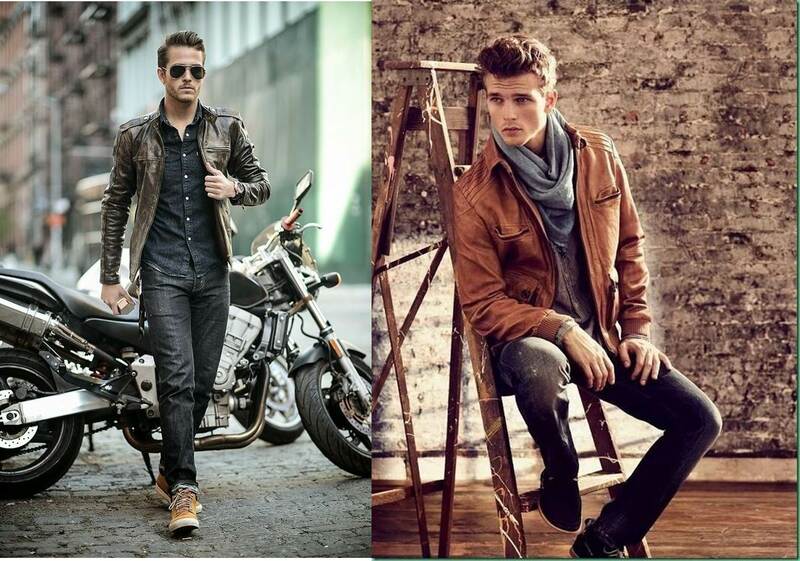 Grab these leather jackets and enjoy your this season of winter with classy and cool look.